Business advice, profitability tips and more from the most popular auto repair shop content on our blog! - Car Counts, and more! 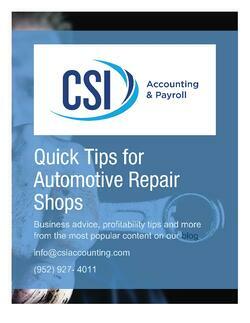 Download the Quick Tip Blog Series eBook for actionable steps to increase profits at your shop.